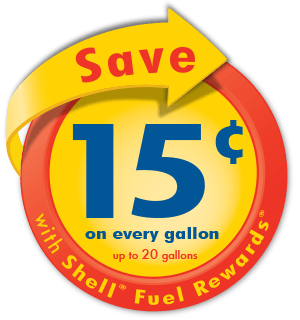 Save at least 5¢/gal on every fill at Shell with any grade of fuel, including Shell V-Power® NiTRO+ Premium Gasoline. 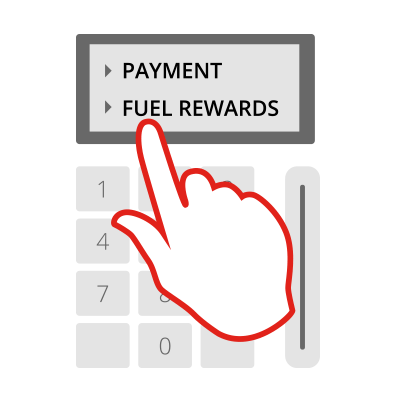 Rewards for Gold Status may be combined with others earned through the Fuel Rewards® program. Earn 10¢/gal for every $50.00 you spend at participating restaurants, bars and clubs. Use a linked Mastercard, Visa or American Express when you pay. No need to spend $50.00 all at once or at one restaurant, we’ll keep track of it for you. Earn at least 5¢/gal for every $50.00 you spend when you shop online. 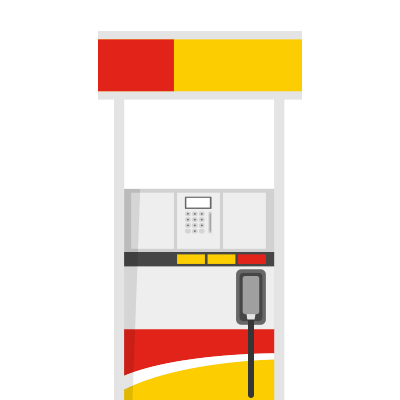 Earn 5¢/gal for every $50 you spend when you book flights, hotels and rental cars through fuelrewards.com. You’ll earn Fuel Rewards® savings in addition to your regular airline, hotel and car rental membership points. No linked credit or debit card required. Just log in and click through to book your travel. 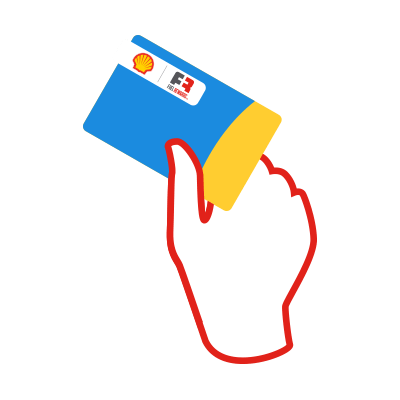 Purchases specially marked items at Shell convenience stores and earn Fuel Rewards® savings. Check out participating Shell locations for specially marked items like coffee, drinks, snacks and more. Present your Fuel Rewards card or Alt ID when completing your purchase at the register to earn your rewards. Gain access to exclusive limited-time offers when you use a linked Mastercard® in select categories. 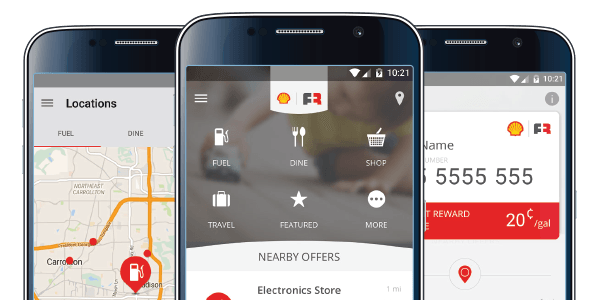 Mastercard® is preferred by the Fuel Rewards® program. Look for retailers in select markets to earn even more rewards. Earn rewards when you shop at participating grocers, energy companies, and other affiliated loyalty programs. 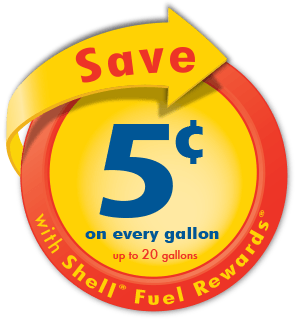 Earn at least 5¢/gal for every $50.00 you spend at participating merchants. Use a linked Mastercard, Visa or American Express when you pay. No need to spend $50.00 all at once or with one retailer, we’ll keep track of it for you. Join and get instant Gold status. You’ll save at least 5¢/gal on every fill at Shell. Pay with a linked Mastercard®, Visa®, or American Express®. Shop the brand names you love and earn Fuel Rewards savings. Log in & click through to book travel. 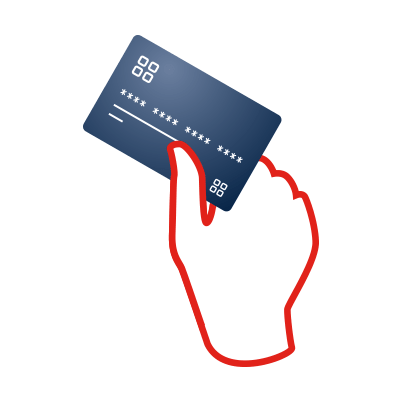 Present an activated Fuel Rewards card or Alt ID. You’ll start with 5¢/gal for having Gold Status. Earn 10¢/gal from dining out, 15¢/gal by shopping online and another 20¢/gal for booking a flight. 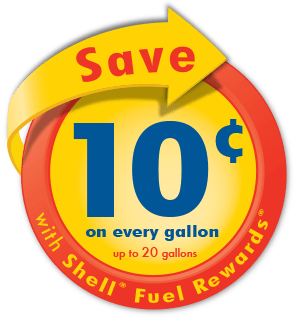 Redeem your rewards at Shell for a total savings of 50¢/gal up to 20 gallons. Once you’ve earned fuel savings, next comes the fun part - using them to lower your price at the pump. When prompted at the pump, select "Fuel Rewards"
You can also redeem inside the convenience store. Just ask the attendant. Sign up for the Fuel Rewards program and start paying less for fuel today. It’s free to join, and you will never be charged for being a member.